SKU: NMT008. 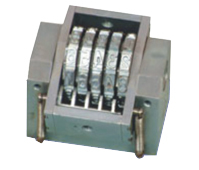 Category: Stamping Machine. With continuous efforts and experiments our design team has successfully invented Stamping press to suit every need. These Hot Stamping Numbering Machine are made under the supervision of experts. we also having Standard Numbering machines, Special Numbering machines, Numbering machines for optical and magnetical character reading. Our Barcode Numbering machines for lottery tickets, Overtype high numbering machines, for hot foil stamping, Complete numbering chases. 3 – 9 Digits Machines. 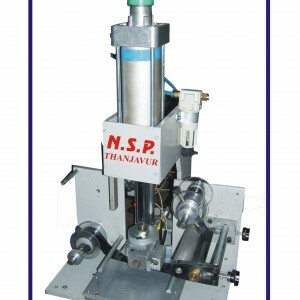 Pneumatic-operated stamping machines are used in the workshop as well as in low and medium-volume series production. The straightforward method of the operation, the maturity of the design and the extensive range of stamps available for marking making their use universal in very many application areas. Only little force is required for the invariably adjustable high impact. To print a serial number, date on battery. Font Sizes: 3.0mm, 4.7mm, 8.0mm.